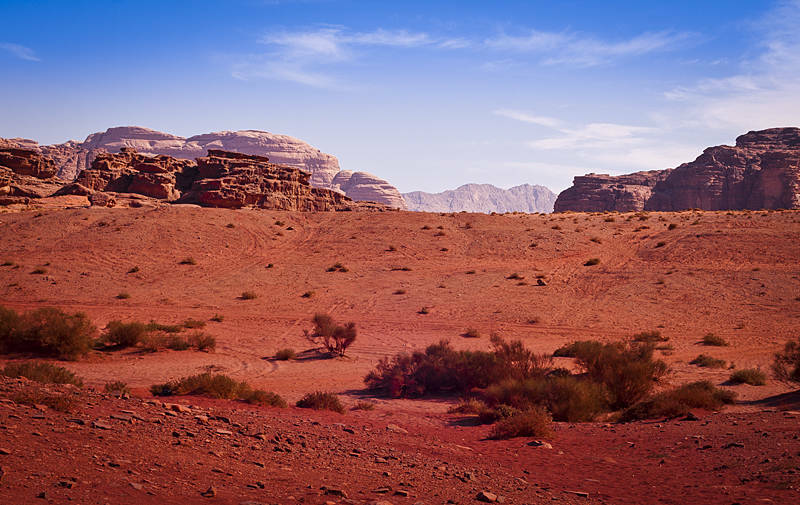 This red desert landscape is Wadi Rum in Jordan. It was taken 7 years ago with my old Olympus E-330. Developed with Camera RAW, no Photoshop. Karen is in Sydney this week to see Don Giovanni at the Opera House. Looks just like parts of Oz! Maybe I should call it Red Desert. It was used to film The Red Planet in 2000. Also used for Prometheus, Lawrence of Arabia and The Martian.